Starting today, you can watch stories on instagram.com. You’ll see stories at the top of your feed, and you can tap to watch them. To skip or go back to a story, you can tap the right and left arrows. 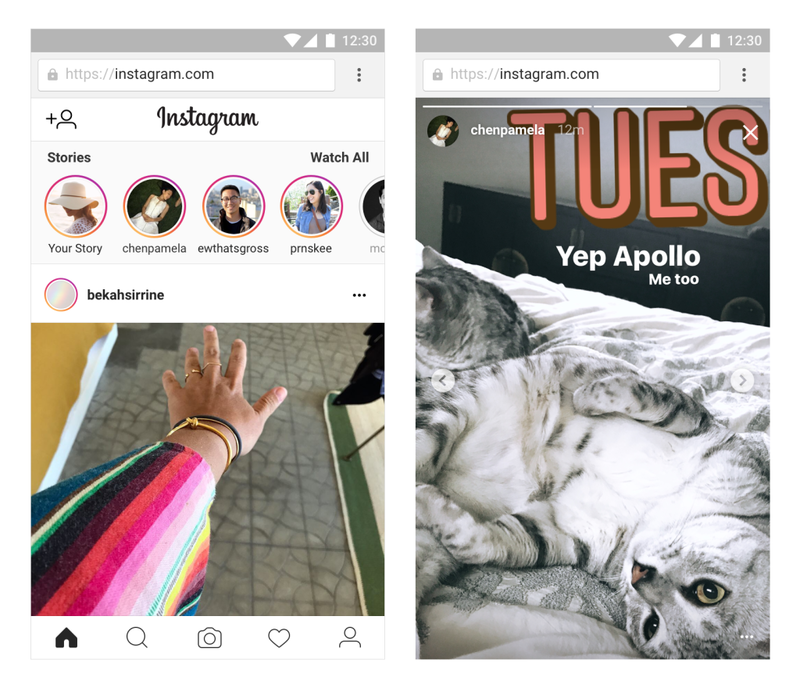 Stories has quickly become an important part of the Instagram experience — over 250 million people use it every day to see what their friends are doing in the moment. Now we’re excited to bring stories to people who use Instagram on the web. This will be available to everyone in the coming weeks. You’ll also be able to post stories from mobile web in the coming months.